We all love change, in our routines, our wardrobes, our hairstyle and even the change in seasons. Why not give your home some change and jazz up the environment inside by some quick and easy thoughtful ideas. Here are 5 simple ideas to transform the space and atmosphere of your house at once by making some small changes. You would also find this idea book useful, if your wish to change the setting of your house for the changing season. Lets get started. Doesn't the space in the room starts to appear so much bigger when you remove even a single piece of furniture. If you have some furniture that is not used, or is redundant, do to hesitate to dispose it and replace it for something smaller and more functional. In case of a small living room, like in this picture, all the dining chairs can be folded when not in use, and more open space can be created whenever required. In addition to folding chairs, deformation tables are a good buy for a small living room. You could also have a look at some space saving furniture like this one. Polish interior designer Pasja Do Wnetrz advises to use colors to add or decrease the warmth of a room. Let us look at the room he created for summers. The attention catching cool blue couches and chairs, the graphic frame of in bright colors, and a subtle blue rug create an impact, and at the same time give a cool feeling to the room. All the other elements of the room are in gray & white colors so they add an illusion of more unified space. The whole setting gives an eclectic touch to this living room, by just the effect of colors. Here are 10 fabulous wall colors for your small living room. Hoarding is not a good thing. Accumulation of stuff only increases the degree of disorder of your home. There are so many concepts that help you get rid of the habit of accumulating. Having a fixed number of hangers, buying something only when you discard something, or fixing a clean up day on every season change will help you get rid of all that you do not need, but still keep storing, wasting precious space in your home. Make it a practice to boldly dispose of the stuff you haven't used in an year and make use of the space in your house more effectively and comfortably. Here are 8 things you need to get rid of now. You can create more space in your home, if you find out the hidden spaces that are mostly wasted due to lack of acknowledging them. Once you have identified the hidden spaces, use them to the best of your creativity. In this picture the hidden space in the wall is used to create a small study area, you could also add shelves to display decorative pieces or put some large plants to improve the air and the look the of the house. For indoor plants, it is recommended to choose large leaved plant like Monstera Deliciosa. 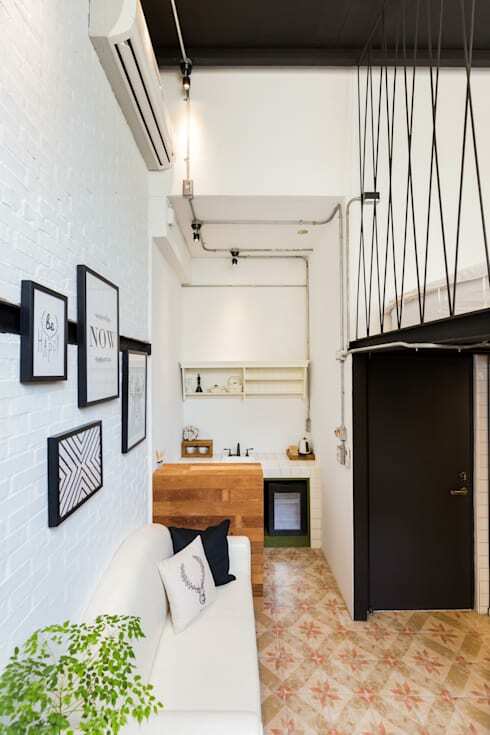 See 8 smart ways to maximise space in a small home. A zero cost idea, that only involves thought is to change the place of the furniture in your home. Relocating the couch in just another direction can also give a whole new perspective to the room. It is advisable to move the seating closer to the windows in winters, for soaking some much needed sunlight in those cold months. If you encounter any piece of furniture in the process of relocating that you do not find useful, you can boldly dispose of it and enjoy the openness of space. 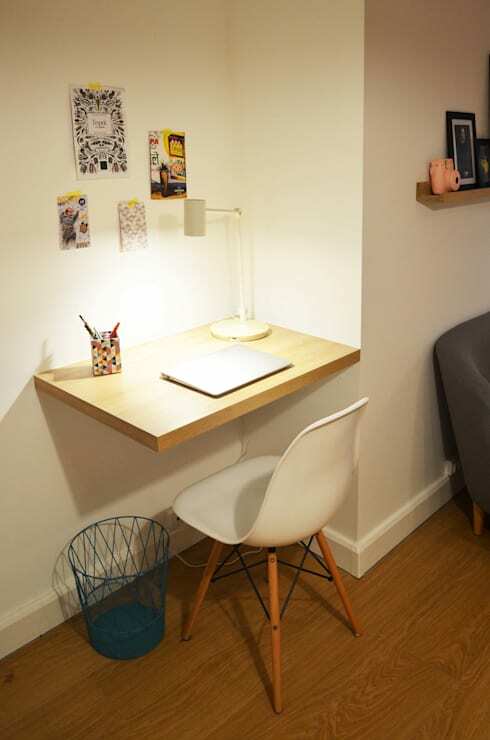 See these 18 space saving furniture ideas perfect for your home. Another easy way to perk up the atmosphere of your home is to change the colors and textures in the upholstery. The entire look of your home will greatly lift up with just changing the fabric coverings like curtains, rugs, and cushion covers. So rather than thinking of bigger changes, it is better to invest in small things like cushion covers, owing to the ease of changing and moving them around the house. With the fabric, you also have the option of experimenting with newer colors and patterns, and even mixing and matching to get a completely revamped look. You can use warm colors that depict heat like reds, maroons and orange in winters, browns and yellows for autumns, shades of greens for spring and cool blues in the summer. Here are 5 more ways of modernizing the interior of your house. Like these ideas to lift up the atmosphere of your home. Tell us what is your favorite and why?